Hey babes! I managed to order some Colourpop through a friend and I'm so excited to show you what I got! Everyone has been raving about this brand so I was very curious to test out these products. I decided to buy 2 blushes, 2 highlighters, 2 eyeshadows & 2 lip products. 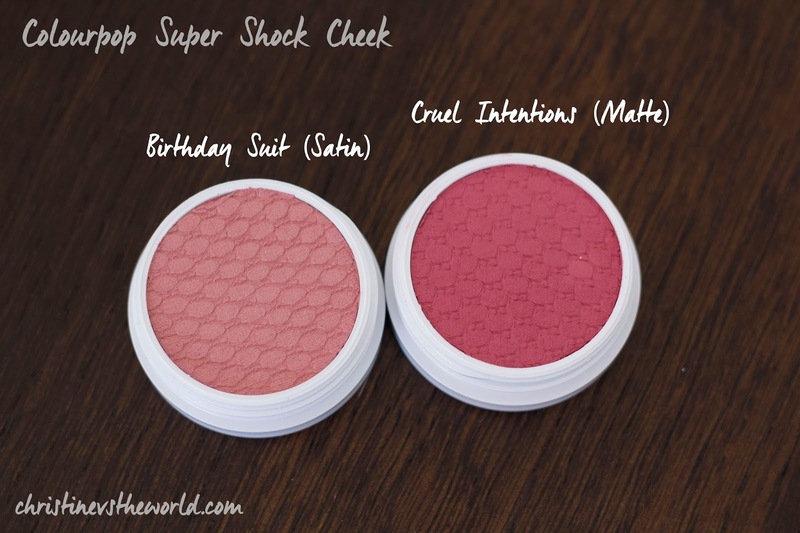 The blushes I got are called Birthday Suit with a Satin finish and Cruel Intentions which has a matte finish. 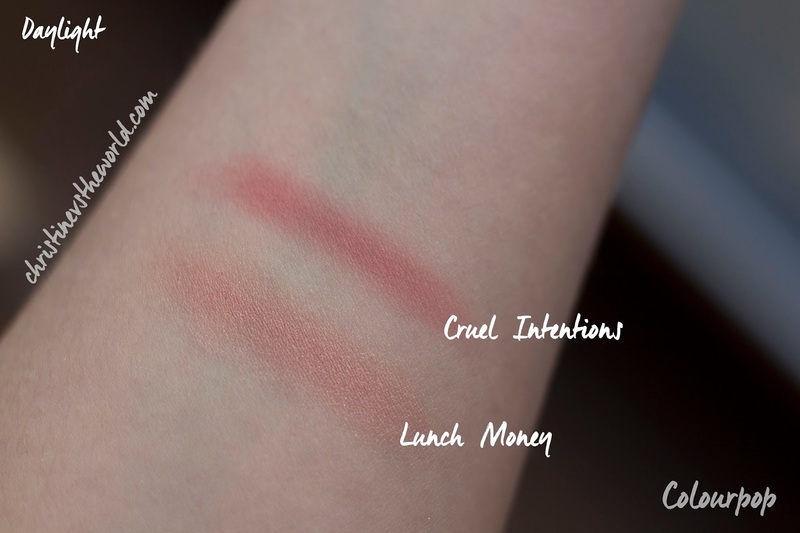 These colours are so beautiful in the packaging and they swatch very pigmented as well but I'm having some difficulty getting the same colour payoff on my cheeks. I've heard some people say these can be applied with a beauty blender or your hands but I don't like to apply blush that way. I used a brush and I noticed these work best when you use a flat stippling brush and buff it out a little bit. The Satin finish stays the longest in my opinion but the matte is awesome as well, the satin is great if you want a healthy glow during the day. 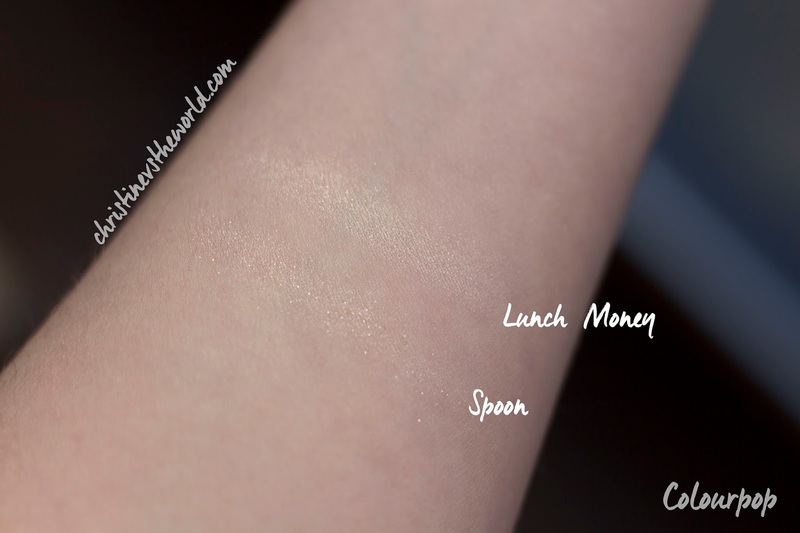 I also got two highlighters: Lunch Money and Spoon, they both are 'pearlized' but Spoon definitely has some shimmers (even glitter almost) and Lunch Money is just a nice, reflective sheen with very very tiny shimmers. 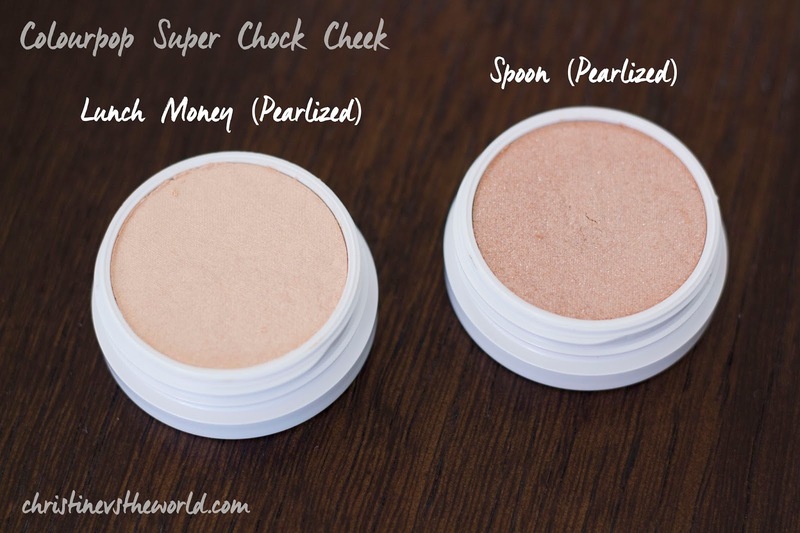 These are both super beautiful on the cheeks and not too overpowering. Because of the glitter Spoon is more suitable for nighttime but you could definitely use a light touch during the day as well. These are buildable and I used a brush but these actually blend pretty well if you want to use your fingers, I don't mind using mine for highlighters. 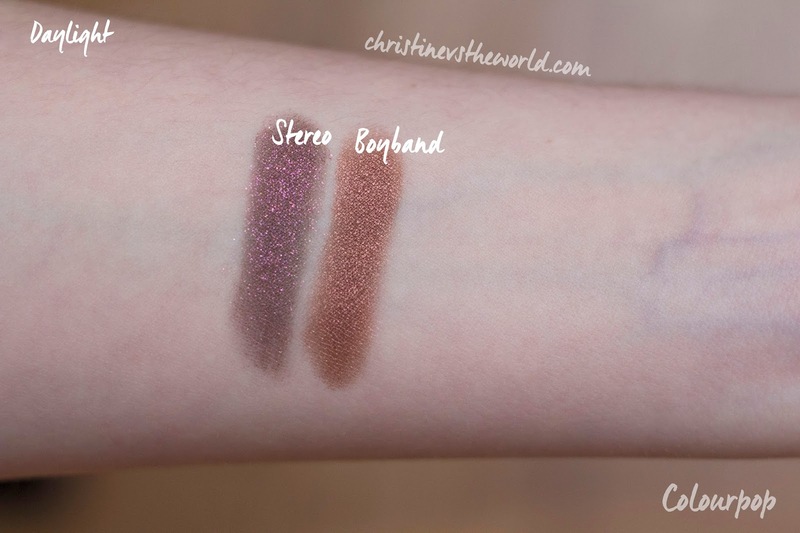 The two super shock eyeshadows I got are called Boy Band and Stereo, Stereo is a beautiful duochrome eyeshadow which I did not expect. It's a purple and brown colour with beautiful reflective glitter. Boy Band is a nice caramel colour with a very even shimmer. 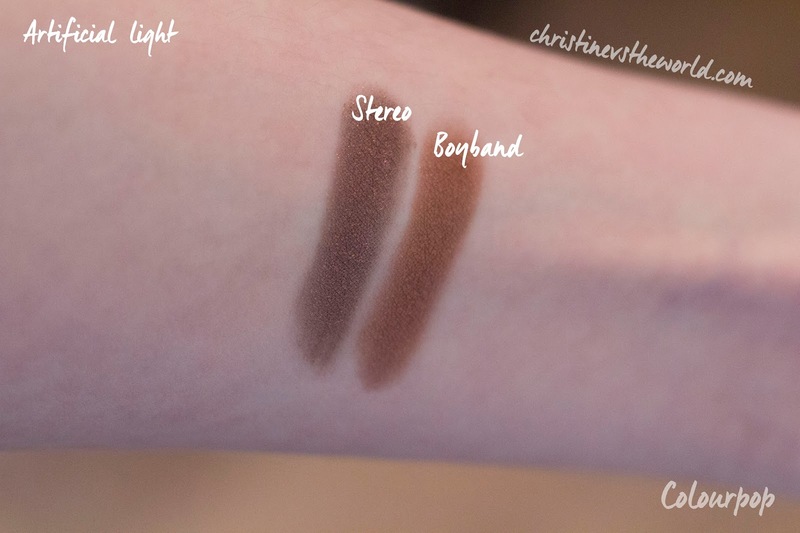 These are both super pigmented when you swatch them with your fingers but again, the colour payoff isn't great when you use a brush. I definitely recommend using some matte colours first to build your eye look and then applying a colour pop shadow with your finger, all over the lid to finish it. These are too much for me personally to use during the day but amazing for a night out. 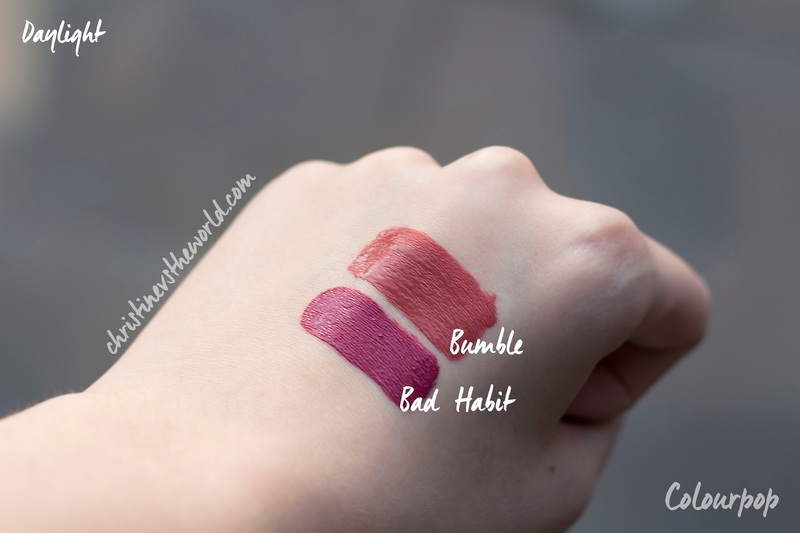 I immediately fell in love with these Ultra Matte lip colors, I purchased Bumble and Bad Habit. These apply pretty easily but I have to say I'm not a fan of the brush in the tube, I have to use a lipliner and then fill in my lips because it's a little difficult to apply without that guide. They do apply very evenly and dry up quickly but not too quickly. 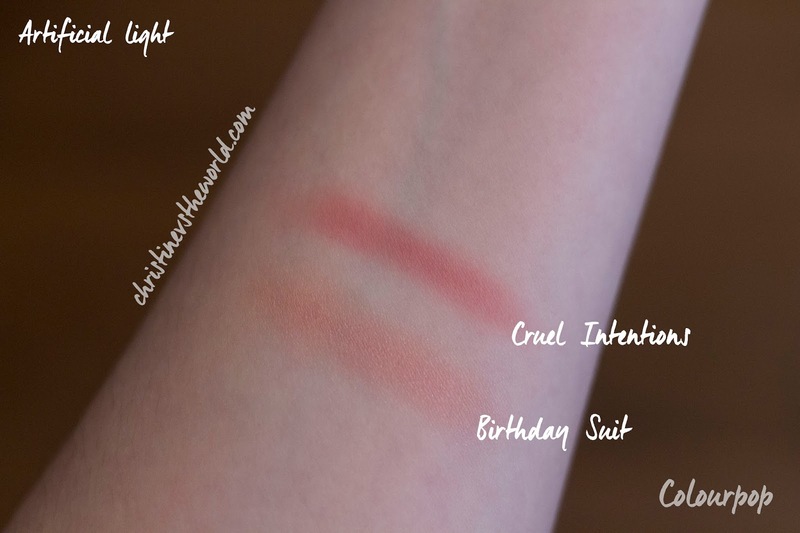 They staying power on these is very good, I wore this to a party that lasted until the morning and I re-applied only once. 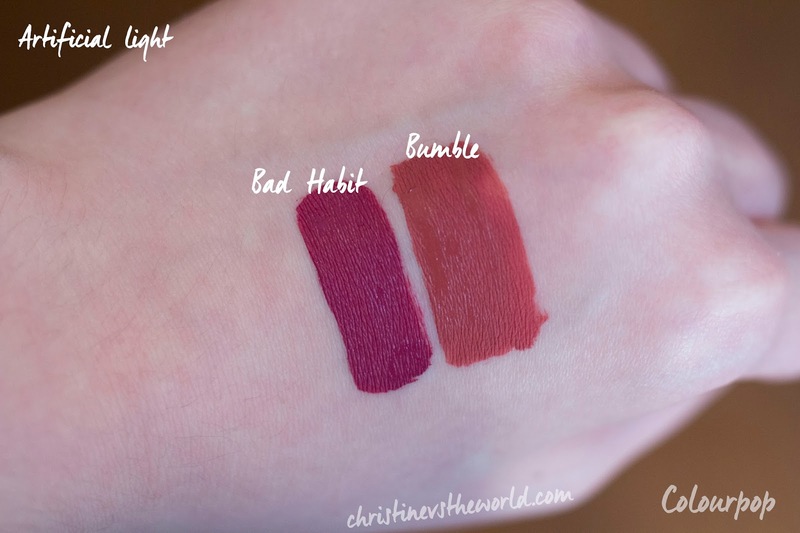 I have to say though, after a long time it starts bleeding and you can't really fix that without removing everything because the pigment is so strong, if you want to wear these for a very long time at once I suggest bringing a makeup wipe and completely removing the lipstick and reapplying. My lips didn't feel too dried out but I wouldn't wear these every day either. 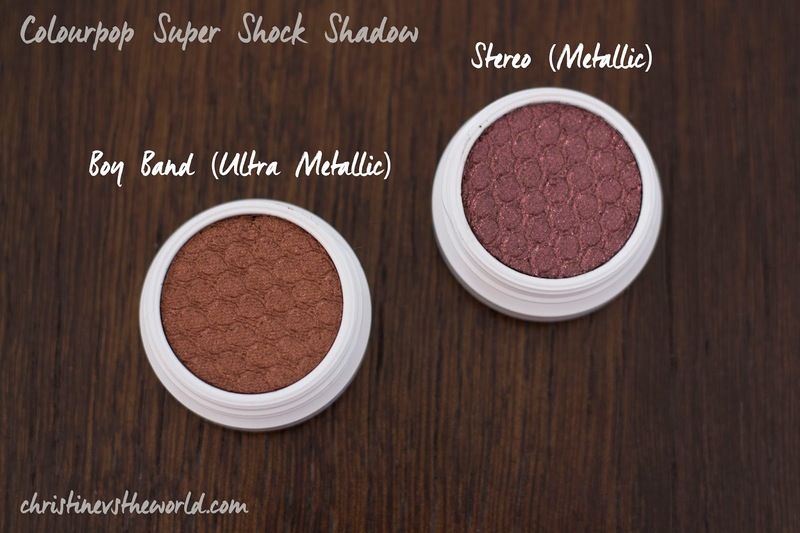 I think I still need to figure out how to use Colourpop products the best way but the beautiful colours and pigmentation have convinced me that it's a great brand! Hey Christine! I love your reviews! Could you please tell me where you got these products? Cause I'm really excited to try them out! And I'd really like to know how you edit your pictures with the text on it. Thanx in advance!